CUESTARS has released its 2018/19 calendar and announced that memberships are now open for the new season. The packed programme consists of ten Under-21 Gold, Silver and Bronze Tour legs, eight Championship Tour legs, eight Seniors Tour (40+) legs and four midweek Masters (55+) events. In addition, there will be the traditional under-21 finals day in Swindon in May and a separate championship for the Championship Tour and the Seniors Tour. That makes 33 events in total spread across ten clubs in central southern England, although the Masters dates are yet to be finalised. Prize money for the Championship Tour remains at £1,000, the cost of a Q-School place, but it will be split between the rankings winner and the Championship winner. Each will receive £500 in cash. For the third year running, the highest ranked player aged 55 or over on the Seniors Tour will collect the Masters title. And the Club Rankings trophy will be presented to the club whose members accumulate the most points in Cuestars Sunday competitions. 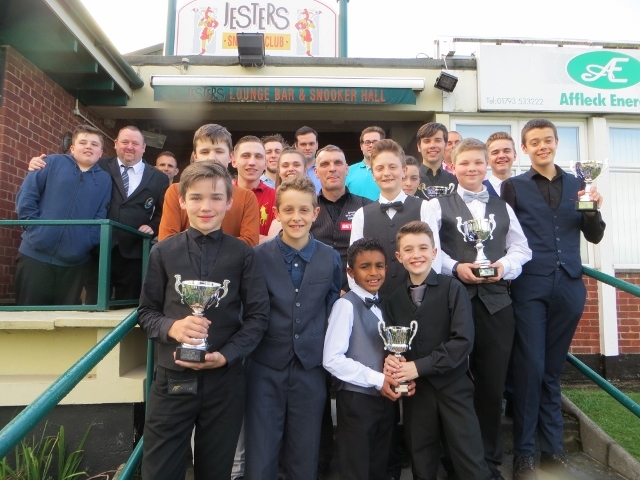 Salisbury Snooker Club hosts the first event of the season, when the under-21s travel to Wiltshire on September 9. Renew your membership for just £10 online at www.cuestars.co.uk/membership-form. Please credit Lloyds bank account number 779517 87082768, remembering to quote your full name. Alternatively, send a cheque for £10 payable to John Hunter at Kingfisher Cottage, 85a Little Ann Road, Andover, Hampshire, SP11 7NW. Once renewed, you can check your membership fee has been received by going to www.cuestars.co.uk/players. Assuming you are listed, click your name to view your player profile and check the information shown is correct. If it’s not or if there is information missing please get in touch with John Hunter via email: [email protected] or by text: 07795 257727. View the new calendar at www.cuestars.co.uk/calendar.